Just bought a crib and looking for a crib mattress? Or need a new or better one? You have come to the right place. This is the complete guide to find the best crib mattresses for 2018. In this guide you will find all the information you need to pick the best crib mattress for your baby or toddler as well as some great options in our best crib mattress reviews. Whether you have a toddler or are looking for the best baby mattress, it’s all here! What is a Crib Mattress and when will you use it? A crib mattress is basically a mattress that you place in a crib to help keep your child safe, comfortable and protected while they sleep. A crib mattress can generally be used for a period up to 3 years with adequate care. This is basically the duration of your crib, so it should be suitable for the lifetime of your crib use for one baby and possibly even for your next child. There are many different types of different crib mattresses available, below we describe the most common. The many different types of crib mattresses available can complicate things. We have simplified it by giving you a run down of each different type. The foam mattress is as the name suggests. It is designed with a single piece of foam that is used as the basis of the whole mattress. Foam mattresses are designed with a number of different materials, and you can choose from mattresses made of bamboo fibre, polyurethane or latex, to name a few, and they can be as thick as 3 to 6 inches. As safety is a key feature for many parents, take note that foam mattresses come in a variety of different levels of firmness, with latex being the most supportive of these. Foam mattresses have the advantage of being lightweight, and offer a range of different options in regards to color, thickness, sizes etc. They are also often the cheapest in price. Foam mattresses are less durable than other mattresses however. Unless a high quality option is chosen, foam mattresses are more suitable as a short term option. Foam mattresses are a good option for those that are mostly cost conscious in their decision making. Memory foam mattresses are also clearly represented by their name. They feature a design made of memory foam material from the top, with the majority of mattresses also having a coil spring bottom. The memory foam mattresses come in a range of levels of firmness. They feature a design that conforms to the shape of the baby’s body through their temperature sensitive design, meaning that they provide maximum amounts of comfort. As the memory foam does slowly conform to the individual baby’s body, it is not recommended that they be used by more than one child. An added advantage of a memory foam design is their ability to keep babies warm, as they reduce the amount of air circulation. This means that they are great options for colder climates. However, due to the majority of memory foam mattresses having a coil spring bottom, it is not possible to flip these designs. Natural mattresses are often crafted with materials such as organic cotton, natural latex, coconut fibre or soya bean, each with their own advantages. As each material can vary greatly, it is not possible to generalise about natural and organic design mattresses. More research is required when selecting one to see which model is right for you. However, it can be said that they are all generally long lasting, breathe well and all definitely chemical free. This does come at a cost however. These options are usually more expensive, but do offer peace of mind if being chemical free is a must. A pocket spring mattress features coil steel springs as a support base. Each spring is sewn into a material pocket within the mattress, where each one moves independently of each other. This results in an overall greater amount of support for the baby, as each spring supports the baby independently, without over exhaustion of one spring. These types of mattresses can be very long lasting due to this. They also have the advantage of providing both a great amount of comfort and support for your baby which can make them the best baby crib mattress. Depending on the type of mattress, however, these options can get very pricy. Again, you do get what you pay for, and these mattresses are guaranteed to last, with many brands offering years of guarantee. If you are looking for a mattress to reuse, this could be the one with its ability to spring back into shape for any baby. A coil spring mattress again says it all in the name. It features a design made with coil springs providing the frame and support for the mattress. With the coil spring design, each spring is bound together to provide overall amount of support. Coil mattresses are rated on their gauge of spring used, with a lower level gauge providing a thicker spring and thereby more firm and more protection. These mattresses are usually very durable, but there can be a vast range of mattress types from cheaper, inferior type coil mattresses to exceptionally high quality ones. Poorer quality mattresses can also squeak and provide little safety for babies, and should not be used as a long term option. Due to the steel frame and thicker coils, they can be a much heavier option, but will provide support needed, so this is a trade off that a family will need to consider. 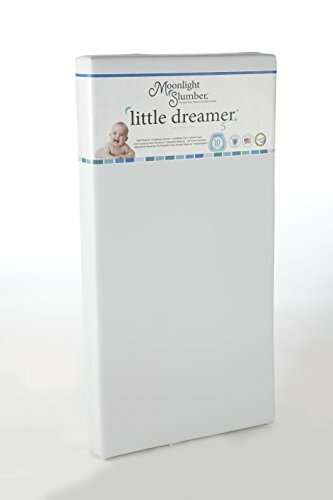 What is the best crib mattress for baby? This all depends on you and your child’s needs and budget. Below are a few important questions you should consider before selecting your mattress. Your answers will help you find the best crib mattress for you. Cribs vary greatly by design and manufacturer, therefore it is important you decide what qualities are most important to you so that you can select the individual mattress suitable for your needs. If being chemical free is the most important thing, then you are best to stick to all natural and organic crib mattress designs. However, if chemicals are not important but comfort is, then perhaps a memory foam design is more appropriate. Decide what you want most for your baby’s mattress as your first stepping stone. Do you need a waterproof mattress? Some crib mattresses are either water proof or water resistant. If you are quick with cleaning, then this is not so much of an issue. However, if this is your first baby then either a non water proof or a water resistant model will suffice. If you are a busy mom with other things on your mind than instant clean up then a waterproof option may be the best option. Waterproof options are available but will often be pricier than their non-waterproof/resistant models. This is a simple tradeoff between cost and mattress, and we would recommend spending that little more to ensure a waterproof design. In the long run, it is much easier and limits hygiene issues as much as possible. Looking for waterproof designs will mean you will need to be conscious when selecting which materials the mattress is made of. You may sway more towards latex designs or cribs that come provided with covers. Are you simply looking for the safest option? Safety is obviously a big concern for all parents with a crib mattress being one of the more important decisions in regards to safety. As your baby will likely spend time on their lonesome, it is important that you choose the crib mattress that will be most usable for your baby and minimize the risk of any harm. Generally, the firmer the mattress, the safer it is for babies. But with firmer mattresses, higher quality materials are required, raising the price tag. A top quality crib mattress will be firm. In the US, baby cribs are put under strict tests before they are certified for use, so you can be sure that your crib is safe. However, there are some other cribs that stand out in maximizing safety beyond the minimum limits to help you and your baby sleep better at night. 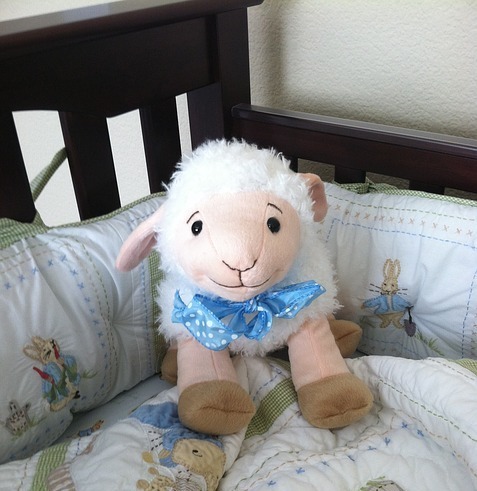 Safety of the crib will also depend on factors such as how well you maintain the mattress and how you will use it. How long will you use the crib mattress? Keep in mind when purchasing a crib mattress that it will need to last the same length of time as the crib. This should therefore become a factor in your decision making. If you plan on replacing the crib mattress frequently then durability of different designs will play less of a role in your decision making. If this is the crib mattress that will be with you for the next few years then durability should be an important factor in your choice of crib mattress. Below is a selection of the best crib mattresses on offer. This chart lets you quickly compare the look, rating, price and suitability of all the top rated crib mattresses. Starting our crib mattress reviews, this memory foam mattress is manufactured by My First Mattress. This mattress is made with Extra Firm High Density Foam, and it is firm and safe. Although not a certified organic mattress, it does feature hypoallergenic and mite-proof material and is chemical free with the materials used exceeding federal flame resistant standards. The design of the mattress features square cut corners to allow an easy fit into a crib. Being a memory foam mattress, the materials used are softer than that in steel coil mattresses, and therefore we do not recommend this mattresses for new borns. It is a soft mattress, and although that can be a benefit for slightly older children, newborns lack the ability to roll over on their own accord and therefore the risk of suffocation is increased. Being a memory foam mattress, this one is extra absorbent but does include a removable waterproof cover that is 100% polyester and machine washable. This mattress is definitely a more affordable memory foam option. Again, we do not recommend this one for infants but it is an extremely comfortable option for older children. My First Mattress obviously have faith in their product, offering a 10 year guarantee on the mattress. Check out the latest price now. Sealy manufactures some great mattresses, winning awards in both 2013 and 2014 for their products. 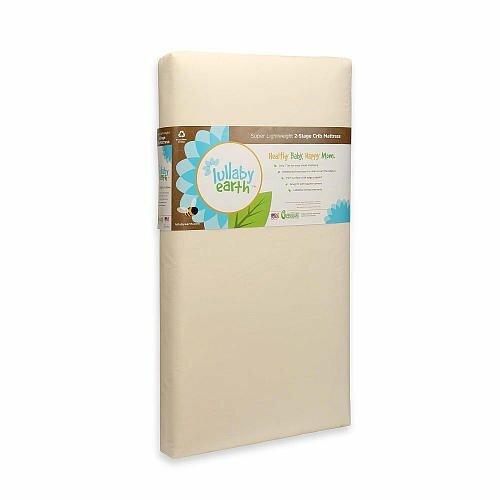 Their mattresses are often the best rated crib mattresses.The Soybean Foam Crib Mattress is a natural and organic option, manufactured by Sealy, and was an easy pick for our baby crib mattress reviews. The mattress is made with soy bean oils produced by American farmers and is a mixture of cotton felt and polyurethane foam. This is great options for those that are conscious of negative chemicals. The best baby mattress is firm, and this one is a firm and supportive mattress that is still lightweight and durable. The foam core means that air can circulate through the materials unlike traditional steel mattresses, limiting smells. The mattress has been reported to shrink slightly over time. This is only minuscule however, and generally only involves the corners becoming a little rounded. It is good in value but higher priced than some alternatives, as you are paying that little bit extra for organic compounds. Sealy obviously has confidence in their product by offering a lifetime warranty on workmanship and materials. The Soybean Foam Mattress is definitely a standout, and may be the best organic crib mattress on the market. Check out the latest prices now. 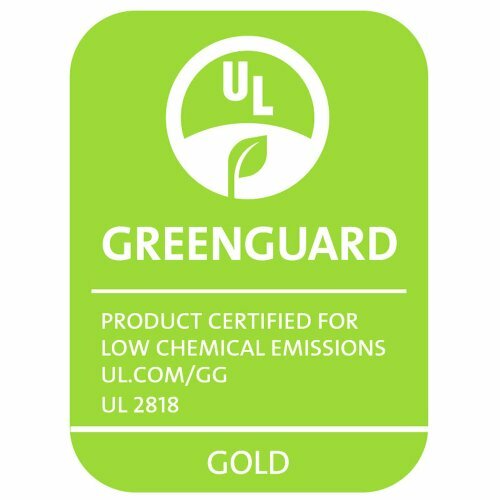 The Greenbuds Magnolia Organic 2 in 1 Crib Mattress is perfect for kids with allergies or parents that want to be careful about their child’s health. The mattress is made of pure, 100% organic cotton and wool. The mattress is also clear of bleach, dyes and toxins. This ensures the safety of the mattress. Not only does the wool assist with regulating temperature and improving circulation, but also it makes it incredibly comfortable for your child to sleep on. This mattress has coconut coir and a machine washable cover so it’s also easy to take care of.. The lullaby-earth-lightweight-mattress is another great option. This is another toxin free mattress that is great for kids with dermatitis, asthma and other allergies. The mattress has been constructed with a polyethylene, air-core foam. This air-core foam provides comfort through closed air pockets, which also means the mattress needs less toxin containing materials as others. Not only is this mattress comfortable and clean for your child, but as the mattress is free of toxins and chemicals, it is both better for your child and the environment. The mattress provides solid support for your baby making it one of the safest on the market. 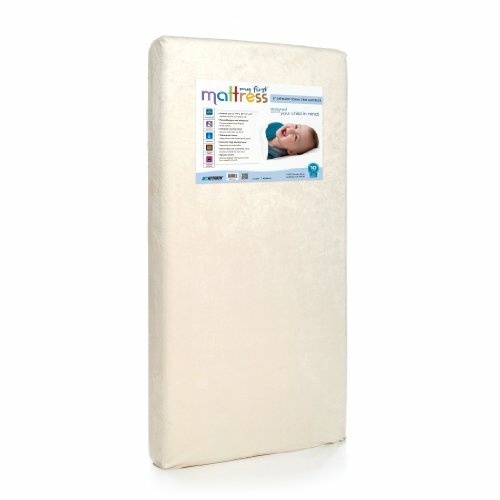 The final mattress in our crib mattress reviews is an all foam mattress that is manufactured by Moonlight Slumber. This is an extremely safe option and for those that are safety conscious take note as this is often the top rated crib mattress for safety. Firstly, the material used is PVC and vinyl free, so it is a healthy option and also avoids stale smells. The mattress is 5 inches thick and uses extra high density firm foam, so it is safe for newborns that have a tendency to roll over and reduces the overall risk of suffocation, keeping your little one safe and sound throughout the night. There is a non toxic waterproof cover, and the mattresses is treated to ensure added protection. The mattress features dual firmness as it can be flipped, with one extra firm side for infants and the other moderately firm for toddlers. This means that the mattress can stay with you for a long time to come. It also features square corners for a proper fit into the crib. There is also the added confidence of a lifetime warranty against manufacturing defects. This option is great for all, whether you’re worried about safety, firmness, comfort, have a toddler or infant, this mattress is likely to suit your needs and can’t be praised enough. We hope you find this guide helpful. Good luck with your purchase!